(CBS/AP) JERUSALEM - Israel's defense minister said Iran's preliminary agreement to open its nuclear facilities to U.N. inspectors doesn't rule out a possible Israeli military strike. 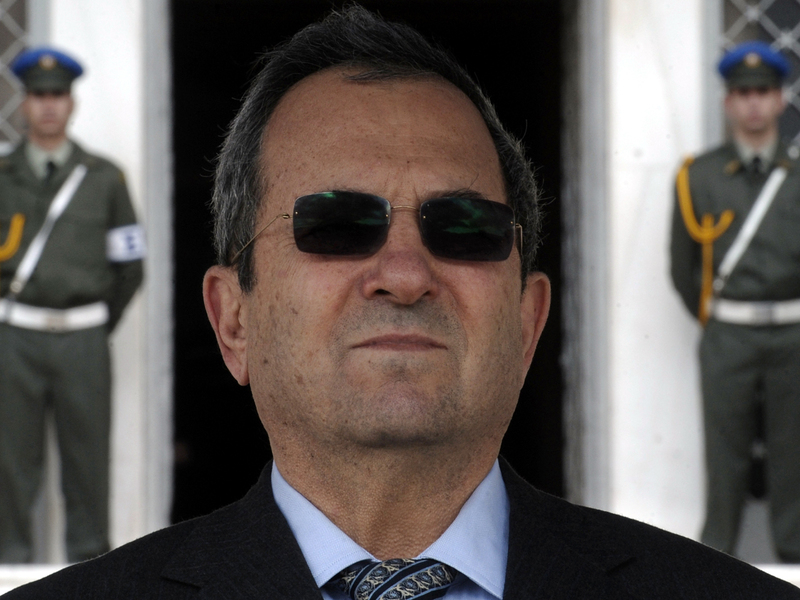 Ehud Barak said on Wednesday that he's skeptical about the deal, which he calls an Iranian ploy to fend off international pressure to curb Tehran's nuclear ambitions. But Barak told Army Radio that buying time is a problem for Israel. He says that a "nuclear Iran is intolerable and no options should be taken off the table." The phrase is Israel's oblique reference to the use of force. Israel, along with the West, suspects that Iran is developing a nuclear bomb. Israel considers a nuclear-armed Iran a mortal threat, citing Iranian calls for Israel's destruction, Iran's support for Arab militant groups and Iran's development of missiles capable of striking Israel. Iran and six world powers are to meet in Baghdad later Wednesday for another round of nuclear talks. On Tuesday, after the U.N.'s nuclear chief announced he had reached a preliminary deal to allow his inspectors to restart a long-stalled probe into suspicions that Iran is secretly developing nuclear arms, Barak said the Iranians are trying to create a "deception of progress" to stave off international pressure. "Israel believes that a clear bar should be set for Iran that won't leave room for any window or crack for Iran to proceed toward military nuclear capability," Barak said during a discussion at the Defense Ministry, according to a statement from his office. "It's forbidden to make any concessions to Iran. World powers demands must be clear and unequivocal." CBS News correspondent Elizabeth Palmer reports that Western diplomats are skeptical about the deal. They feel that International Atomic Energy Agency chief Yukiya Amano felt a lot of pressure to reach an agreement with Iran and that he came back from Tehran with a lot less than he should have. Not reaching a binding, comprehensive deal fell short of expectations generally. Barak held out the possibility that Iran be allowed to keep a "symbolic amount" of low-enriched uranium for medical or research purposes, but only if it is under "strict" international supervision. Israel wants Iran to halt the enrichment of uranium  a key step toward building a nuclear bomb  and agree to ship most of its stockpile of enriched uranium out of the country and open its nuclear facilities to inspection.